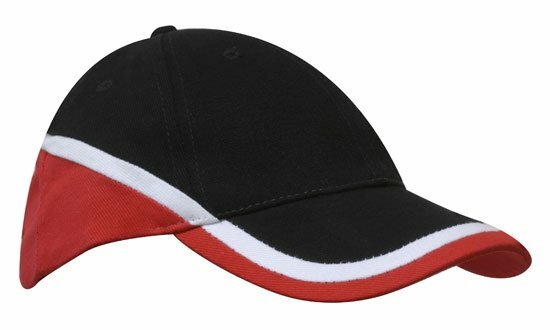 With its racing stripe look, the custom promotional Tri Colour Brushed Heavy Cotton Cap is a stunner. Nationwide fast delivery and rush orders welcomed. Want something that will take your company event up a higher notch? 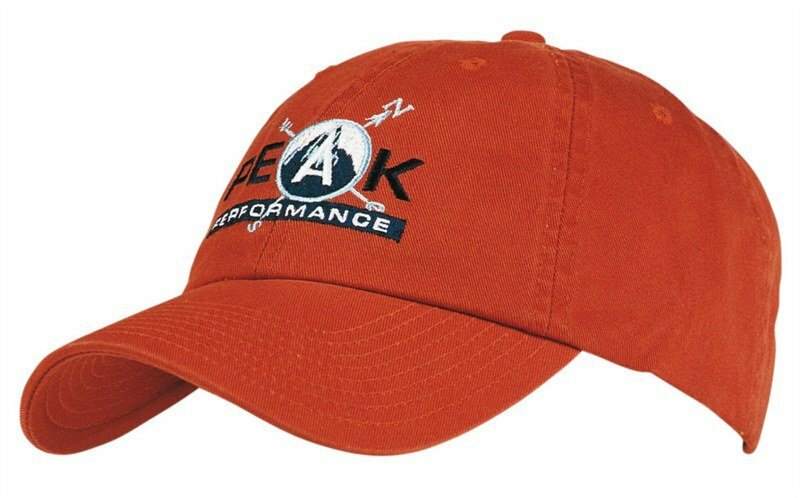 Well, this promotional cap is guaranteed to deliver three times the fun into your next event. Introducing the decorated Tri Colour Brushed Heavy Cotton Cap. This promotional product is a great giveaway to your clients and staff for events like sports competitions, team building activities, and just about any outdoor activity where want your people to look good while keeping them protected from the sun. 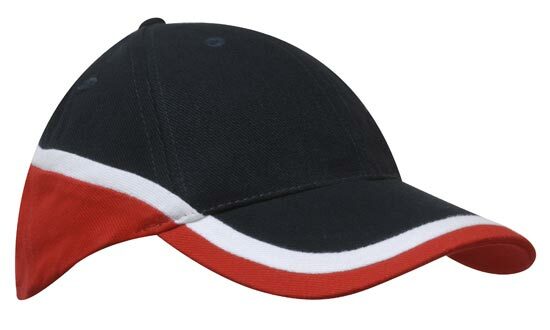 What makes the custom Tri Colour Brushed Heavy Cotton Cap special is its three colour design. The design pattern has been made to look sleek yet unobscured, giving the promotional Tri Colour Brushed Heavy Cotton Cap its unique eye-catching look. 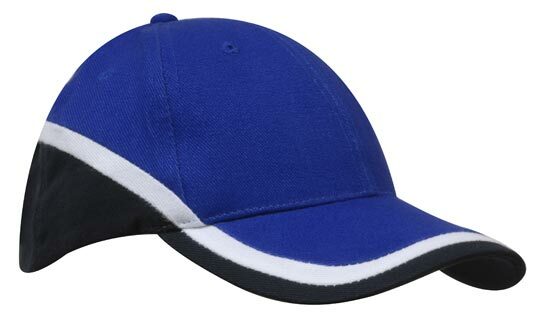 There are eight cap colour options for this promotional product. Among the popular are Black/White/Orange, Black/White/Red, and Charcoal/White/Black. With all these great colour options, now all it needs is for you to make that awesome design. Once you have it, send it to us and let’s start making you that fantastic promotion. 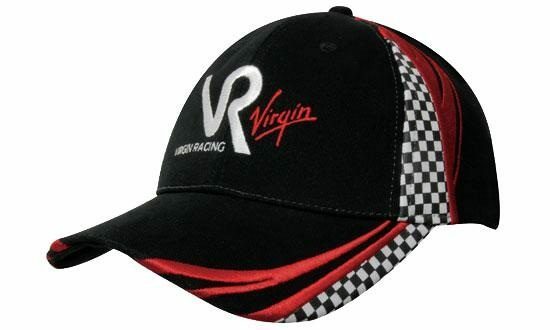 Also do let us know how you’d like it done – either printed or embroidered. 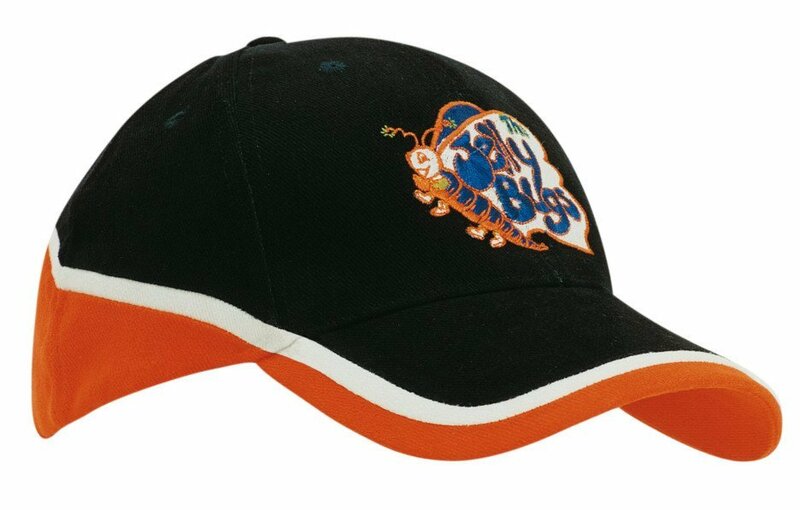 Both the embroidered Tri Colour Brushed Heavy Cotton Cap and the printed Tri Colour Brushed Heavy Cotton Cap are great choices and are guaranteed to be sure winners. 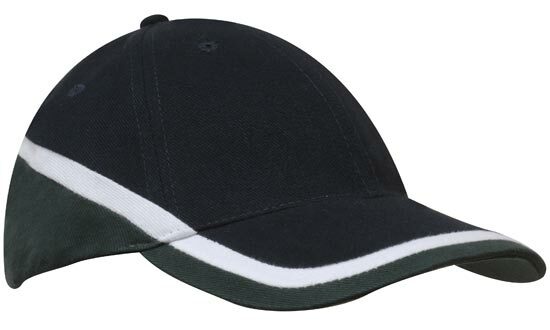 You’ll watch how your clients and staff will love the branded Tri Colour Brushed Heavy Cotton Cap. It’s going to be such a big hit that they’ll be wearing it for many more occasions to come. But you know what else is exciting? The price. The popular budget priced Tri Colour Brushed Heavy Cotton Cap can be your winning piece even with a modest budget. 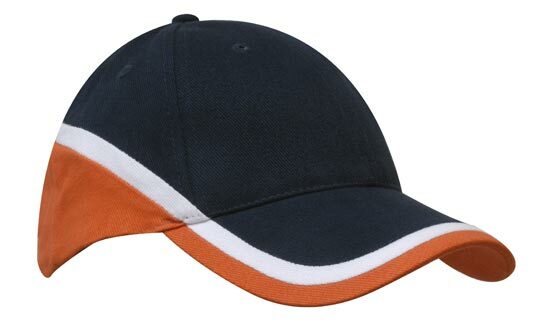 Make hues work for you with our custom Tri Colour Brushed Heavy Cotton Cap. 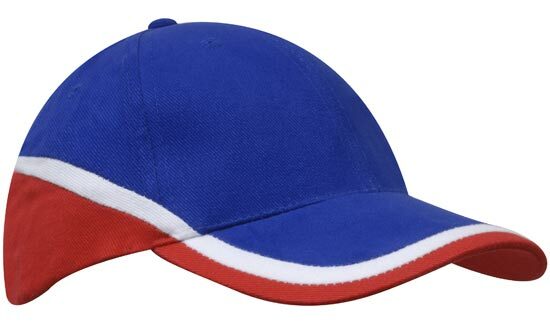 This cap is a fun giveaway for your sporting events. Give a treat that is delicious and reusable such as our promotional M&Ms Round Tin. Check too our other promotional sweets. If you’d like to know more, give us a buzz at 1300 008 300. Or if you want to go for live chat, give us a wink or nod on our website. 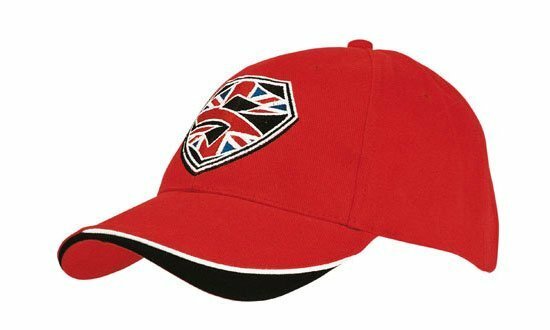 Also do check out our other products like the customised Frontier Cap and the promotional Acrylic Cap for more great options.